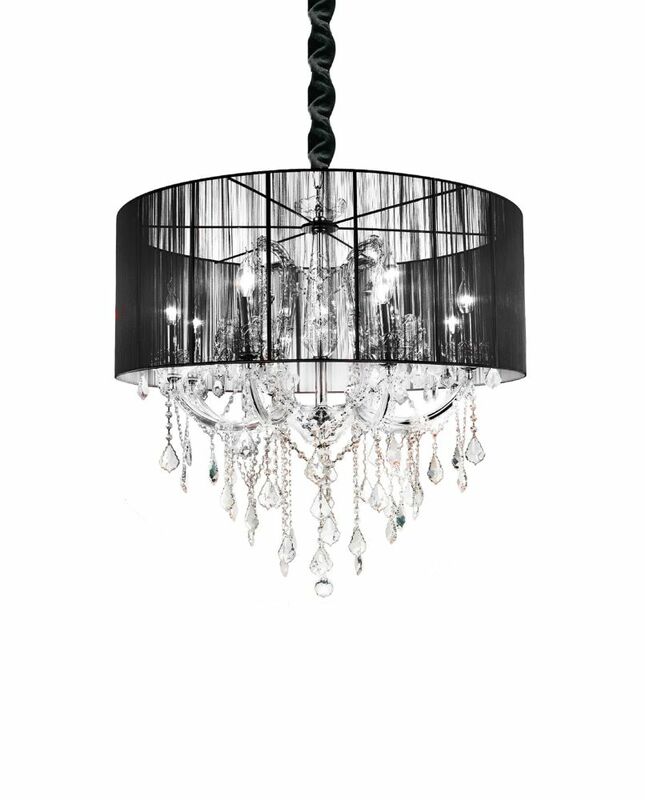 Maria Theresa 34 inch 12 Light Chandelier with Chrome Finish This breathtaking 12 Light Chandelier with Chrome Finish is a beautiful piece from our Maria Theresa Collection. With its sophisticated beauty and stunning details, it is sure to add the perfect touch to your dicor. Maria Theresa 34 inch 12 Light Chandelier with Chrome Finish is rated 5.0 out of 5 by 1. Rated 5 out of 5 by LWRmamaOFtwo from Gorgeous chandelier Everyone complements us its absoulelty gorgeous. It shimmers even when turned off. We had to put it on dimmer because it was so bright.